US equity indexes closed a little weak, sp -4pts (0.2%) at 2896. The two leaders - Trans/R2K, settled +0.1% and -0.4% respectively. 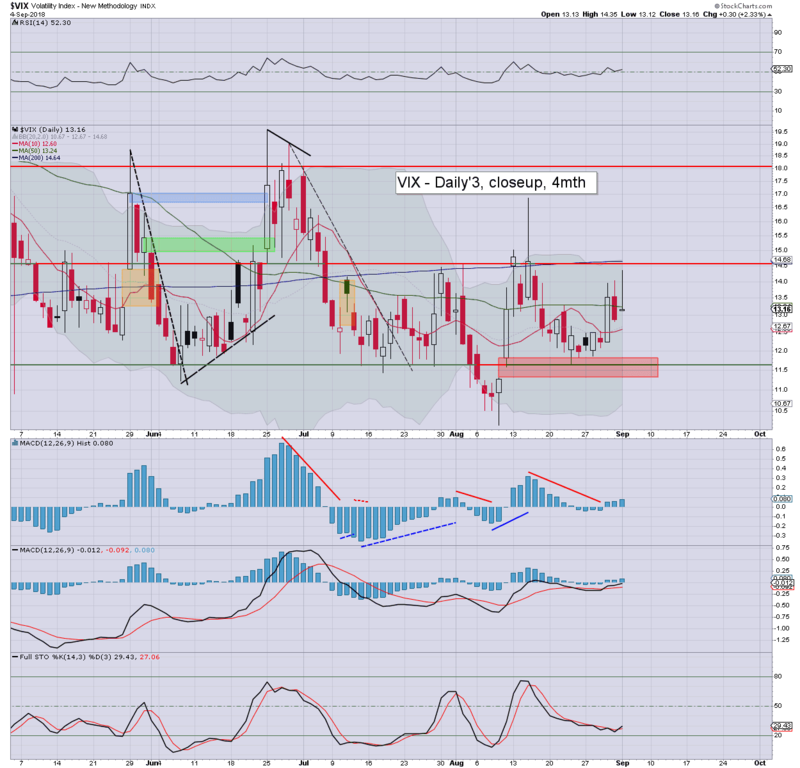 VIX settled +2.3% at 13.16. 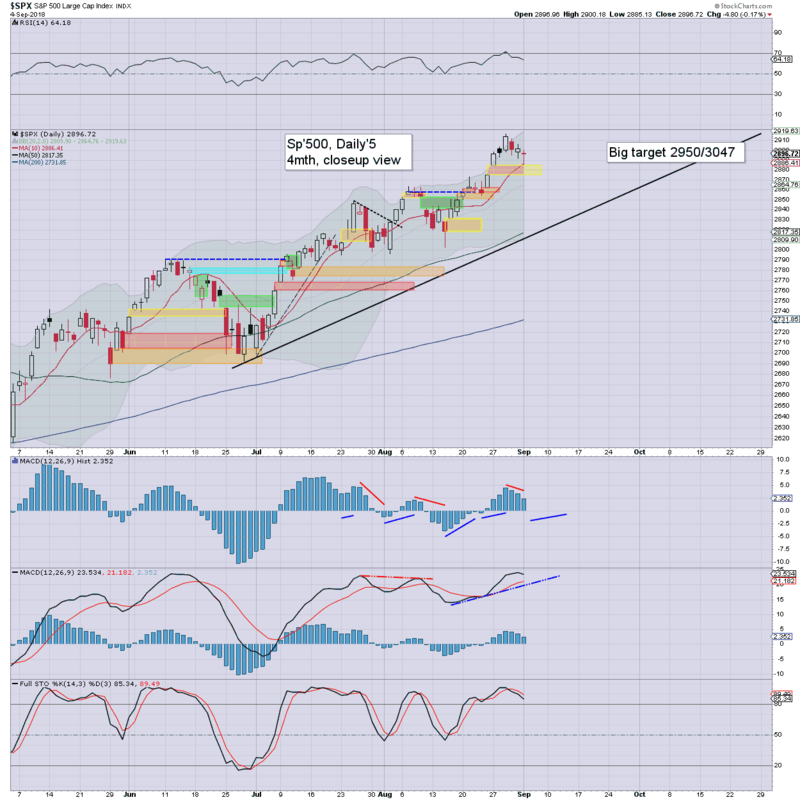 Near term outlook offers new historic highs in the sp'2920s. September, and the final third of the year, began on a weak note, with moderate weakness across much of the day. The sp' saw a low of 2885, just fractionally above the downside gap of 2884/74. 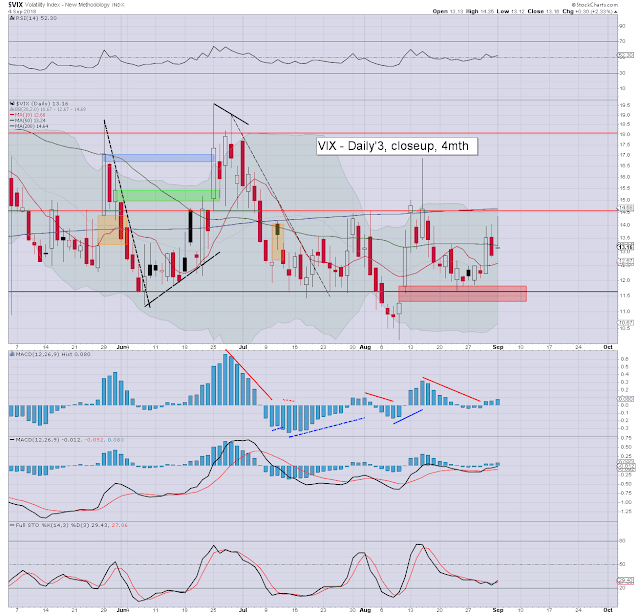 Volatility saw 14.35, but then cooled with a slight equity recovery, settling in the 13s. The s/t outlook offers the sp'2920s, and what will likely equate to VIX 12/11s.